What's better than a spectacular experience? Answer: An ICE-PECTACULAR adventure! Once again this year, I am so blessed to have emceed for Disney on Ice, as they find a new home at the Mall of Asia Arena. Below is a clip from Day 1 of this 3-day adventure! 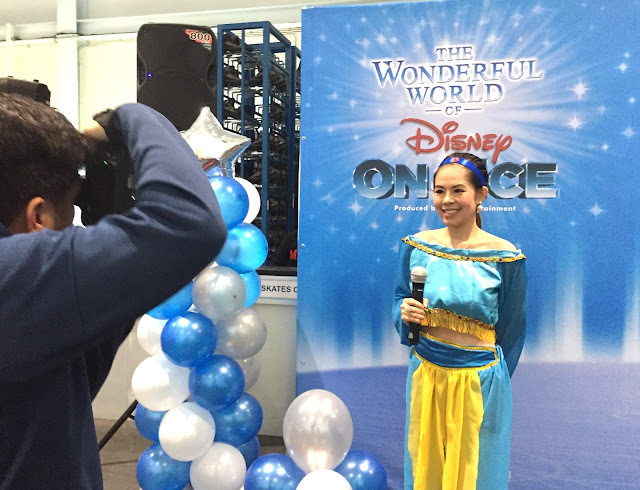 And now, a video clip for Day 2, where I came to join the Disney On Ice Masterclass with young princesses... true royalty on ice! Wow, where do I start? I have so many things to share like how blessed I am to have voiced-over The Wonderful World of Disney On Ice Singapore, but let me just maintain my focus first on this ICE-CAPADE, where I spent two days on the ice, learning with only the best: the performers from The Wonderful World of Disney on Ice themselves! Trivia: That really handsome skater at the extreme left of the photo portrayed Prince Charming in the Snow White segment; talk about perfect casting! Swoon... his smile made my cold princess heart melt. Now you know why my favourite part of the Wonderful World of Disney on Ice is no less than the Snow White show! Let me forget for a moment that I a mom okay... let me hark back to the days when I was 7 or 8 and I just watched my favourite Disney films on our VHS player all day! So yes, for Day 1 of this splendid hosting gig for theDisney On Ice skating Master Class with members of the media, where I came in my Rapunzel-inspired look. Can you spot cheeky li'l Pascal? He's my plushy chameleon to complete my 'Tangled' inspired look! Day 1 was with the members of the press and they were very sweet... like this guy. But I failed to get his name though... had to take a we-fie with him too right after we posed for his camera! Good thing there wasn't a video, because just when I was feeling like a pro on the ice and really getting the hang of it, my Rapunzel-long hair fell on the ice, and I landed on my bottom! From cloud 9 it was back to reality for me! And I loved how one of my favorite Disney On Ice skaters pointed out that I was so in character, for like the movie, Tangled, Rapunzel had her hair cut short. As for me, my long wig fell of for I was letting loose on the ice, and my reverie was cut short. LOL! Day 1 was perfect... save for my weary shoulder (thank God I didn't break my shoulder / arm) thanks to the 'Tangled' scene! And now, on to the next day, where I got me singing, "I can show you the world... shining, shimmering, splendid..." You guessed it; I channeled one of my most favorite Disney Princesses of all time: Jasmine! 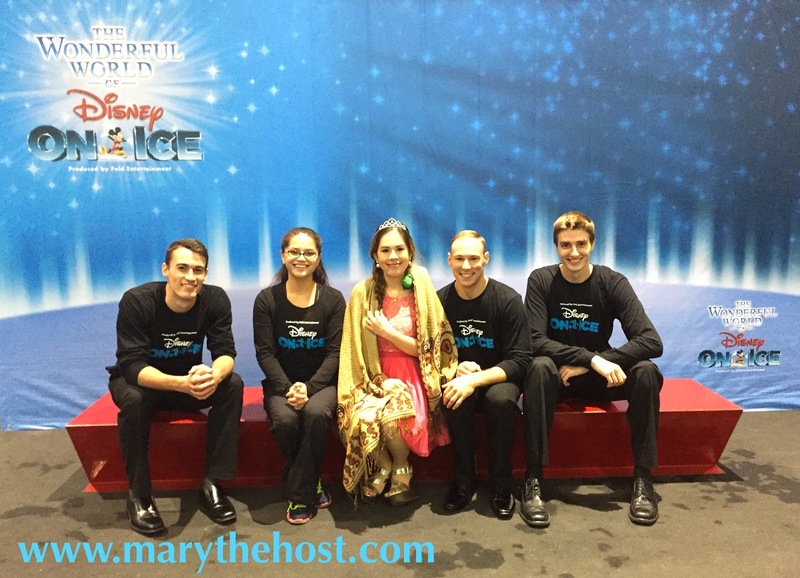 But this time, I didn't get to feel such a royalty on the ice, for the guests in the audience were so amazing, even the pro skaters and performers from Disney On Ice were surprised! 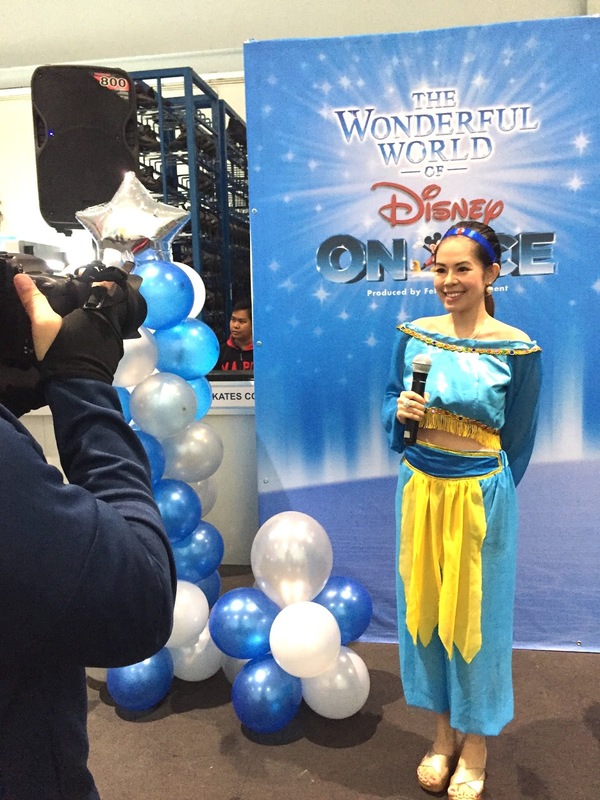 Yes, Day 2 was the Disney On Ice Master Class, this time with young masters, or princesses on the ice. The figure skating enthusiasts were regulars of the SM Arena Skating rink, and most of them were already advanced in figure skating. 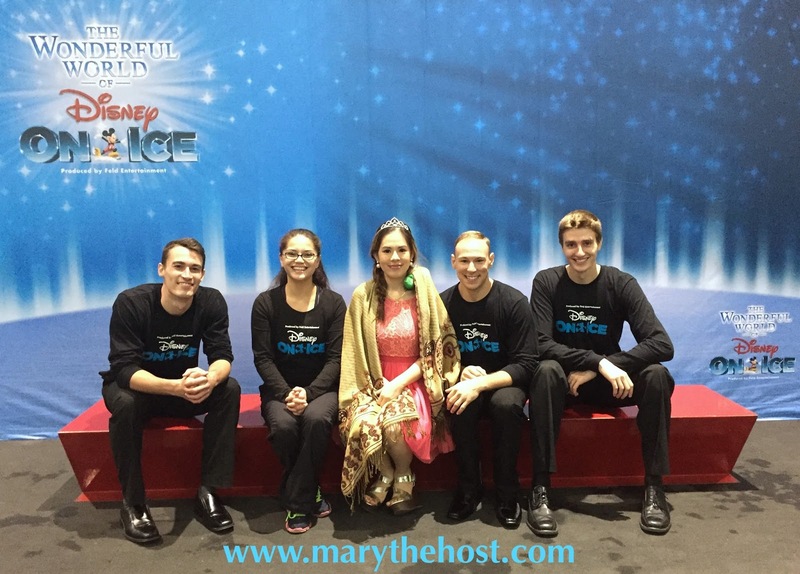 It was a great day to fuel passions and dreams further, because they got the chance to interview and ask the professional Disney skaters, especially as all of them aspired to someday be part of the Disney On Ice shows. And boy, did these kids have a ton of questions, ranging from the lifestyle habits of the skaters, all the way to how can they actually audition for Disney On Ice! Good luck girls, and seize those dreams! Thank for skating by today and please click on the following links about my craft as an events host / emcee (and occasional Disney Princess) too!